Philip’s Court Care Home is situated in pleasant surroundings in Gateshead, just ten minutes from Newcastle city centre, with excellent public transport links. We specialise in residents with mental health issues, and have regular access to a psychiatrist. 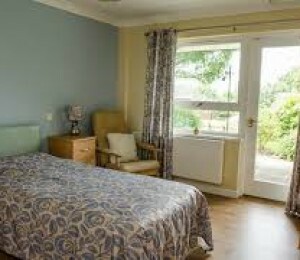 We take a very positive and empowering approach to our residents’ care. One of the things we do is pet therapy. We have plastic cows – very low maintenance! - chickens, rabbits, guinea pigs and budgies. The residents feed the chickens, they clip them, collect the eggs and secure them at night. It’s all about the wellbeing of the hens, but it’s actually about the occupation of the residents, and it’s extremely therapeutic for them. We also have pet therapy with dogs, hens and guinea pigs, which sit on the residents’ knees and keep them occupied and relaxed. We passionately believe in giving our residents special experiences – fulfilling their dreams. One resident wanted a ride on the back of a motorbike, so we contacted the local Harley Davison club and arranged it. Four residents went on a canal trip. We have regular trips to the opera and to the seaside, and we also have a bar for pub evenings! The risk assessments for some of these activities are a nightmare, but it’s worth going that extra mile to see the looks on the residents’ faces! Some residents go to a local art club, two are doing GCSE Maths and English. One lady with learning difficulties is doing a course to become a Carer. We have brilliant staff at Philip’s Court – dedicated, passionate and resourceful. No matter what issues we have, we solve them. Last year we won the Best Care Team of the north east, a national award. That says it all.